March 3rd is our next Women's Wellness Brunch. At a beautiful private residence in The Conejo Valley from 12 to 5pm. 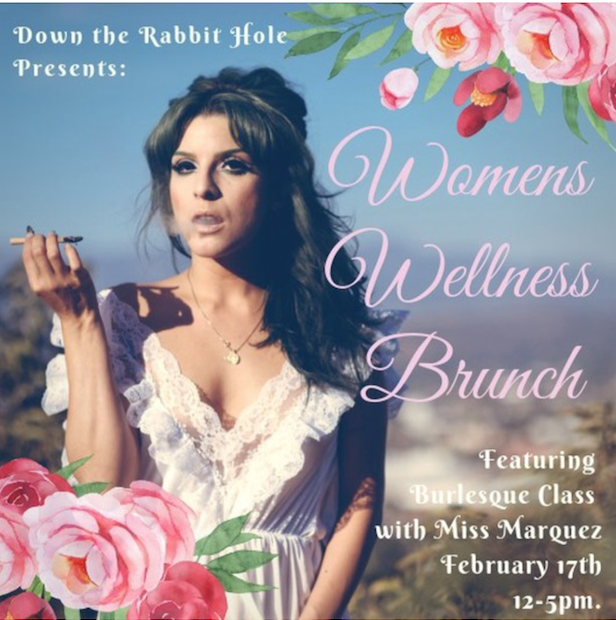 This time we will have the honor of taking a hour burlesque class taught by the beautiful and talented Miss Marquez .